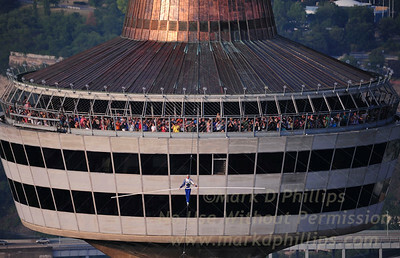 Jay Cochrane skywalks from the Ice Palace (175 feet tall) to the Marriott Waterside (450 feet tall) in Tampa, FL. Cochrane's 900-feet skywalk on a 5/8 inch cable on Wednesday, August 23 at noon. 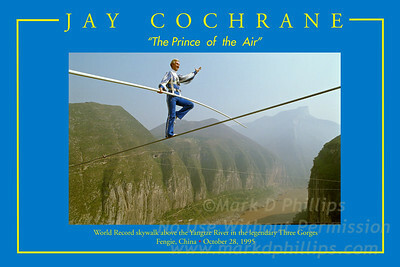 Cochrane holds five world records for skywalking but says that this walk was "a challenge."